A few weeks ago we poured some micrococktails at Fermented Grapes, our local wine and liquor shop, to give our neighbors some spirituous succor. Debbie, Jan, and the gang there never steer us wrong when we’re looking for something luscious to pair with our dinner, so we love returning the favor. 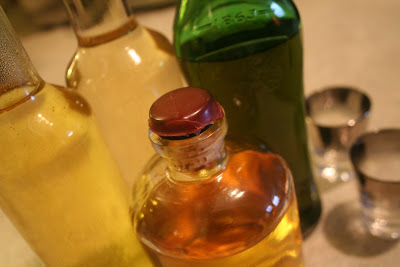 Many folks braved the sweltering Saturday heat to taste three of our favorite spirits, two vermouths, and some bitters. The results were surprising. Our arsenal of spirits await pouring and micromixing at Fermented Grapes in Brooklyn. ONE OF OUR FAVORITE light London-style gins, DH Krahn, would be the focus of our first tasting, so we opted for martinis. Martinis used to be exclusively gin, with a generous helping of dry vermouth, and a dash or two of orange bitters. We stuck with this tried and true formula and made believers out of those sippers who feared the power of gin. For an extra kick, we added a drop of cocktail onion juice to the martini to create a Gibson. DH Krahn gin is perfect for a Gibson when mixed with Noilly Prat dry vermouth, and a dash of Bitter Truth orange bitters. This gin boasts a light juniper infusion, plus notes of coriander, ginger, and the oils from oranges, lemons, and grapefruit. What we love also about DH Krahn is its versatility. It can easily fit the bill for London-style gin drinks, or lighter-style cocktails. Exquisite. Stir for 30 seconds in ice. Strain into a chilled cocktail glass. Add onion. MANHATTANS are our love-affair cocktail, so we were happy to make some wee ones for our neighbors. Since we were pouring Templeton Rye, our new fave, we employed the Templeton Rye’s official Manhattan Cocktail recipe ratio (it makes for a revivifying summer Manhattan), which we’ve posted before, except we used Dolin Sweet Vermouth and The Bitter Truth Aromatic Bitters. Delicious. No surprises here. The whiskey tipplers who took the plunge loved the smoothness of the Templeton Rye and the way the bitters and the vermouth brought out the spiciness inherent in the rye. At 40% abv, this rye goes down smoothly, but not until you’ve gotten a whiff of its light caramel redolence. Perfection. Stir in ice for 15 seconds and strain into chilled cocktail glass. Garnish with a maraschino or booze-soaked cherry. THE BIGGEST SURPRISE of the pouring turned out be the Campo de Encanto Pisco, which is an acholado pisco, or rather a mix of four different pisco varietals. For those of you who have never had pisco, it a brandy distilled from fermented grapes. It is light, slightly fruity, but not sweet, closer to a pear eau de vie than a cognac. We decided to mix it with some run-of-the-mill tonic water, fortified by a dash of Bitter Truth orange bitters. Eyes lit up after sipping. “I could drink these all day long” seemed to be the constant refrain. That made us happy, and we decided that the Pisco and Tonic would be the official late-summer drink at Chez Cocktail Buzz. In a highball or collins glass filled with ice, add pisco (and bitters) and stir for 15 seconds. Top with tonic. You can add a lime wedge if you so desire. When bouncing from tasting room to spirited dinner to booze-filled events at Tales of the Cocktail, New Orleans’s annual gathering of all things spirituous, one must remember to—well, we already forgot. Oh right. Keep track of all the sips that pass ones lips in order to write about it later. We've waited over a week to jot down Part II of our tasting notes, so forgive us if some information seems fuzzy. We swear we were lucid at the time. 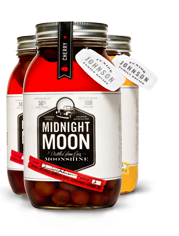 Our friends from Piedmont Distillers, the Makers of Midnight Moon and Catdaddy Carolina Moonshines, were in town to pour their new spirit infusions of Midnight Moon aged with fruit to a very eager public. At 50% abv to extend maximum flavor from the fruits and spices allowed to rest inside the bottles, the flavors are apple pie (apples and cinnamon), cherry, and strawberry (all delicious), but we swear we tried a blackberry or blueberry one too. Sarah LeRoy and Joe Michalak were on hand to answer all our questions and get us a little liquored up before our next tasting, as was bartender/author Joel Finsel, who was sharing his apple-pie mixed drink along with his new book Cocktails and Conversations. Our spirited dinner at GW Fins was way too long, and featured too many cocktails that did not pair well with the dishes; however, the food was exceptional, and one of our favorite cocktails was created by New Yorker Jason Littrell, who came up with Behind God’s Back. This rum and juice-based drink has a long list of ingredients (it’s allowed to, since it’s a tiki-style drink), and if you’re willing to source all the ingredients, we say go for it. It paired beautifully with chef Mike Neslon’s Spicy Vietnamese Glazed Pork Belly with Jicama Relish and Cilantro Coulis. Swizzle the syrups, orgeat, pineapple juice, lime juice, and rum with crushed ice. Pour into a Pilsner glass. Top with both the bitters, and garnish with a sprig of Israeli mint. Imbibe Magazine threw a happy hour party at the Hotel Le Marais, and luckily we were early enough to try several of the drinks on offer, by award-winning bartenders. One that surprised us, and one that we are thinking about driving to Worcester, Mass., for to visit The Citizen Wine Bar is David Delaney’s Charentes Shrub. This tall rye cooler, mixed with Earl Grey–infused Pineau des Charentes (a French aperitif made by blending cognac with a slightly fermented grape must) is topped with India Pale Ale (IPA), and garnished with a rosemary sprig and a chunk of pineapple. We spoke about Drambuie in our last post, but neglected to print the recipes of the two diametrically opposed flavor profiles in brand ambassador Anthony Caporale’s cocktails, in which he stressed that Drambuie was the only spirit used in both. Quite a feat. Garnish with a pinch of dried lavender blossoms in center. Shake until the tin is frosted, strain into a tall glass filled with cubed ice. Top with Reed’s Ginger Brew, stir gently. Garnish with lemongrass spear, bird’s eye chili pepper, and ginger slice. Carrots, kumquats, Asian pears, and persimmons turn soju into easily sippable dinner accompaniments. We’ve been infusing spirits for years with ripe fruit, fresh vegetables, and piquant herbs and spices. Now it’s all the rage. Recently, we taught ourselves how to prepare a bunch of Korean dishes and, looking for a perfect pairing, decided that soju would be the ideal partner. Soju is a Korean slightly sweet vodka-like beverage that is usually distilled from rice, although today, it can be distilled from other grains such as barley and wheat, to a host of starchy tubers such as potatoes, sweet potatoes, and even cassava, from which we get tapioca. Most sojus hover around 20% abv, though they can range from 18.5% to 45% abv. When you buy soju, try to get the 20% variety with as little flavoring and sweetening as possible. If you can find a big green cheap plastic bottle of the stuff, do, because this will be perfect for your infusions. Pick comestibles that you are fond of and that you think might go with Korean food (or whatever style of cuisine you are creating). We decided on three that were in season: kumquats, Asian pears, and persimmons, and also the ubiquitous carrot. Make sure you have several clean jars with lids. Now it’s time to separate your washed and scrubbed edibles into the different jars. You can leave them whole if you wish, or you can cut them into pieces or crush them. Use as much as you’d like. The choice is yours. Fill the jars with soju so that the food is all covered (some of it, such as kumquats, will float, but do not worry about this). Cover with the lid, and give a good shake or swish. You will be shaking and swishing daily until the soju achieves your desired flavor. 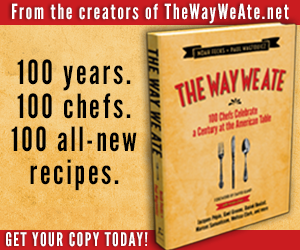 (You should taste frequently—herbs and spices sometimes only take one to a few days to infuse.) Since we were using only fruits and vegetables, we left ours in for over a month in order for the soju to develop deep, complex flavors. We can’t decide which is our favorite—they’re all so amazingly satisfying. And paired with a Korean Barbecue Grilled Sea Bass with a side of rice and kimchi, plus a helping of sautéed spinach and various pickled vegetables, you’re good to go. Seng Sun Bulgogi, or sea bass first grilled skin-side down, is bathed in gochu jang paste. 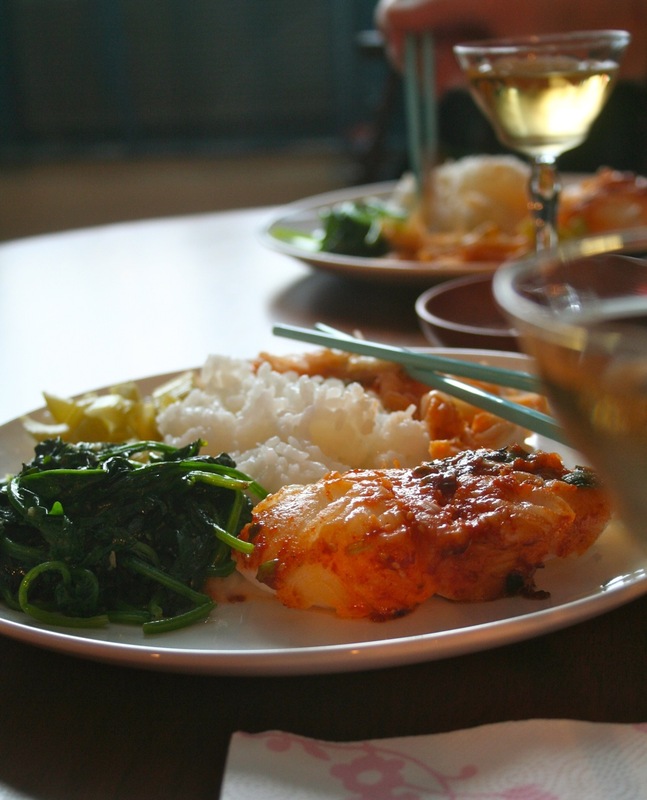 Serve it with sides of pickled vegetables, rice, sauteed spinach, and a glass of chilled infused soju. But remember, no Korean meal is complete without kimchi.